A water-resistant sunscreen especially for use during outdoor activities. 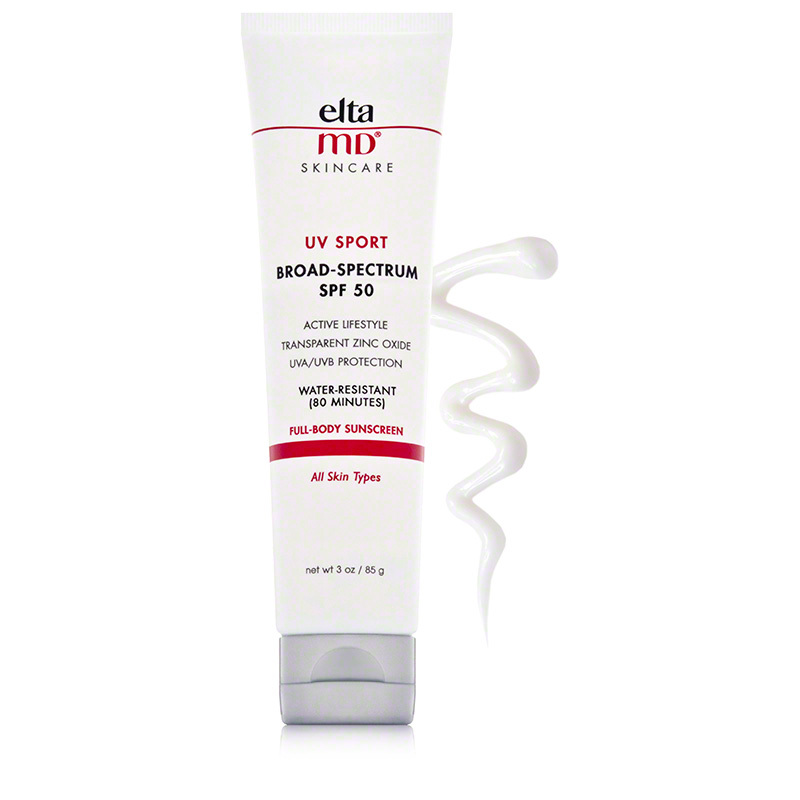 EltaMD UV Sport Broad-Spectrum SPF 50 (formerly EltaMD UV Sport Waterproof SPF 50) blocks UVA and UVB rays from causing sun damage during outdoor and water activities. Vitamin E provides the skin with antioxidants to fend off free radicals. The fragrance-free formula may be applied on dry or wet skin and won’t rinse off even when perspiring. Apply liberally and evenly to all exposed skin areas, 30 minutes before exposure to the sun. Reapply every 2-3 hours to maintain protection. Active: Zinc Oxide 9.0%, Octinoxate 7.5%, Octisalate 5%. Inactive: Bees Wax, Butylene Glycol, Cetyl Dimethicone, Cetyl PEG/PPG-10/1 Dimethicone, Disodium EDTA, Hydrogenated Castor Oil, Iodopropynyl Butylcarbamate, Isopropyl Palmitate, Octyldodecyl Neopentanoate, Purified Water, Sodium Chloride, Tocopheryl Acetate, Triethoxycaprylylsilane.